Home Moto "Will FE fit F1? No, nor should they be complementary"
"Will FE fit F1? 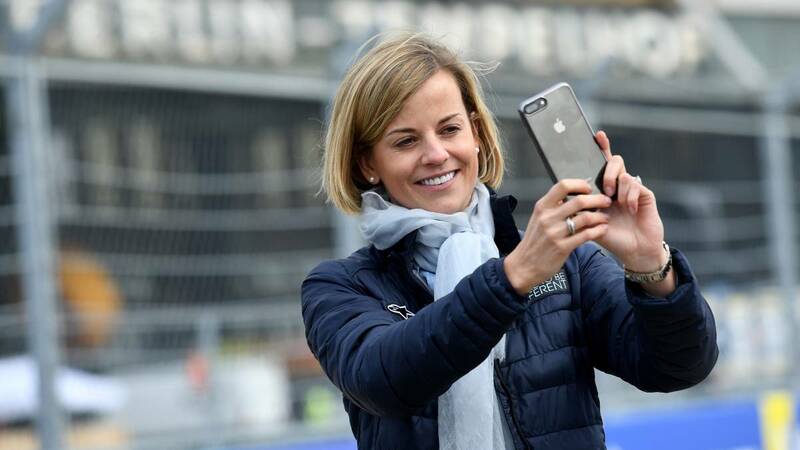 No, nor should they be complementary"
Susie Wolff, a 36-year-old former driver, runs the Venturi team and is the wife of Toto Wolff, the head of Mercedes at the 'Gran Circo'. Susie Wolff did not have a good Saturday in Rome. The head of the Venturi team of Massa and Mortara saw how both pilots finished the day with separate absences and in their gesture that disappointment was transmitted. Also in his words: "The result is very disappointing for the team, but now we must work to find a solution before Paris. It does not make sense to turn around the fact that we lost an opportunity to score good points because we had rhythm, we must make sure it does not happen again. The classification was solid on the part of the two riders and the pace seemed strong so it seemed encouraging until the failure came. " After analyzing the ePrix came the wild card question, the most repeated, which is not missing in any long interview a relevant member of the Formula E paddock 'Will the FE come at some point to replace the F1? 'The 36-year-old expilot does not doubt it: "No, nor should they, they are very different and complementary championships". Susie, wife of Mercedes boss in F1, Toto Wolff, knows that the FIA electric race is growing exponentially but knows the ins and outs of motor racing: "Formula E is in its infancy. Here in Rome we have completed our ePrix 52 and F1 are in 1,000. And only because of this is it incomparable right now. " Yes, the British knows that the FIA and Agag and their team are doing a great job, especially on how to reach a new audience:" It's an innovative championship, which opens the sport to the public experimenting in the races and involving the fan. In addition, the routes are urban which encourages greater aggression and equality in the races making the result always unpredictable until the end. The fact that the car is standard and the short ePrix reduces costs and helps a lot also to the equipment since there is no need to make a large technological investment. Great manufacturers are here, but there are also private and small teams like ours, and above all we have real chances of winning. " Returning to the comparison between F1 and Formula E, Wolff insists:" F1 is the pinnacle of motorsport. The budget differences are stratospheric. We have different objectives. The one of the F1 is the one of the iconic glamor, the one to see compete to the cars with the greater technology of the world. In Formula E, the main goal is to highlight the potential of electrical technology and focus on sustainability. Of course, also with exciting races. Motor sports fans can enjoy both championships. You do not have to position yourself with one or the other. In fact, Formula E runs on Saturdays and F1 on Sundays. Even if they coincide in the same weekend, you do not have to choose, you can see the two ".